Ma’ili Beach Park in the town of Ma’ili, is a long, narrow, 40-acre park that borders Farrington Highway in West Oahu, Hawaii. The name Ma’ili is a contracted form of the word Ma’ili’ili, or "lots of little pebbles." The area is known for the ‘Ili’ili, or small, rounded, water-worn stones that are used as fish sinkers, game pieces and percussion instruments of hula dancers. The long sand beach that fronts the park is excellent for soaking in the sun, picnics and strolls. The water is great for swimming and other water activities during the summer months when the surf is calm. The beach is also popular among surfers for the the popular surf site called Green Lanterns which is located at the mouth of Ma’ili’ili Stream. Tumbleland, another surf site on the long beach, is in the center of the park. The entire beach is subject to strong currents during periods of high surf. 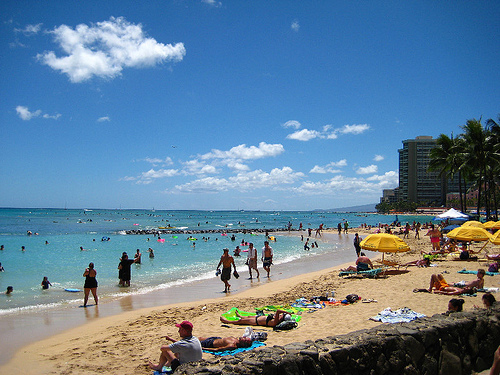 Amenities at Ma’ili Beach Park include lifeguards, picnic areas with tables, barbecue grills, restrooms and showers. Camping is allowed with printed permit. 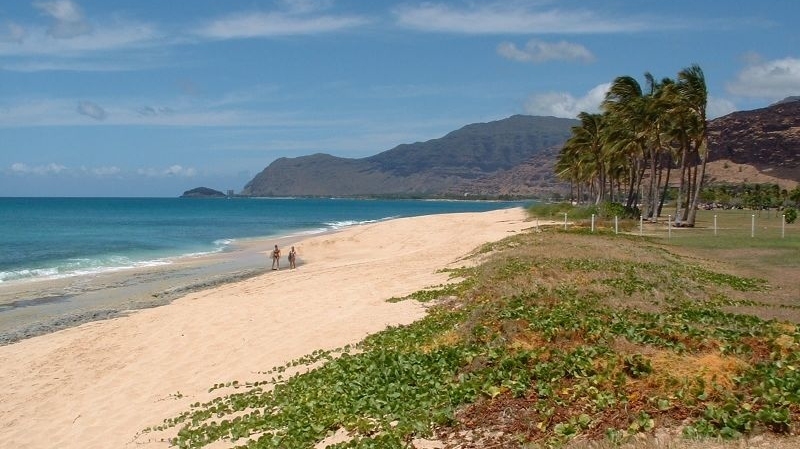 Ma’ili Beach Park is located at 87-021 Farrington Highway, Wai'anae, West Oahu in Hawaii.